The Land Ethic curriculum combines Waldorf education, Outward Bound-style expeditions, and Wendell Berry’s insistence on an ethical sense-of-place to create a dynamic, place-based, wilderness curriculum that explores the places our students live. Over the course of four years, students at Youth Initiative will hike, canoe, and bike across the Driftless Region to develop a deep sense of the natural history, resources, lifestyles, and myriad ways locals relate to the land. Through this process, students begin to develop their own Land Ethic, their own understanding of correct relationship to each other and to the earth. While these expeditions are about developing a Land Ethic, they are first and foremost about developing as people. Expeditions require participants to step up, take initiative, work through challenges together, and deepen their resolve and resilience. In order to affect positive change in the world, students must believe in themselves. To believe in themselves, they must know themselves. 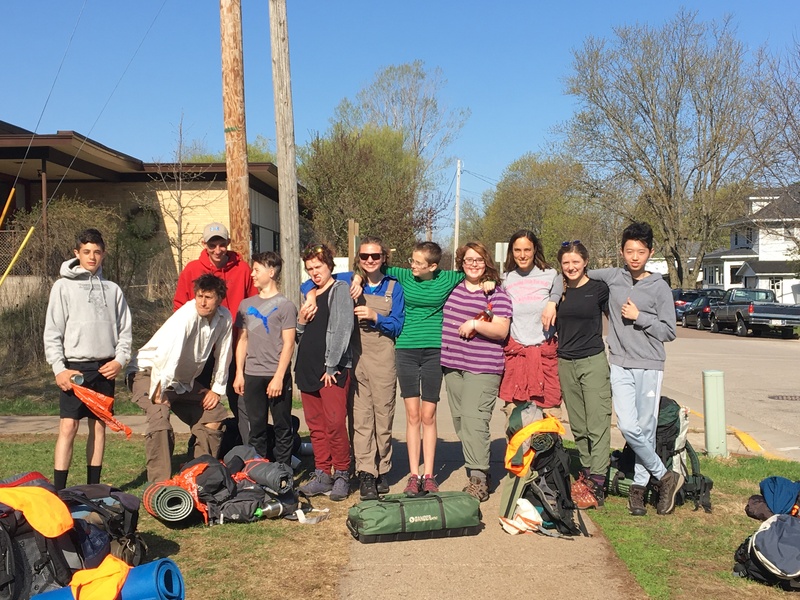 High School provides substantial challenges to each student already and expeditions are aimed at helping them identify their inner strengths as well as the support of their peers in facing those real challenges associated with life off the trail. Freshmen hike across rural Vernon County, learning about the natural history and geology of the Driftless Region, wilderness skills, and the expedition mentality. Sophomores spend a week in canoes on the Wisconsin River, exploring resources, resource use, and the complexities of personal and cultural relationship to land and water. Juniors hike into the woods in the dark of winter and explore the power of storytelling, to make meaning of their own lives and to navigate the landscape of their identity in hopes of becoming more fully at home there. 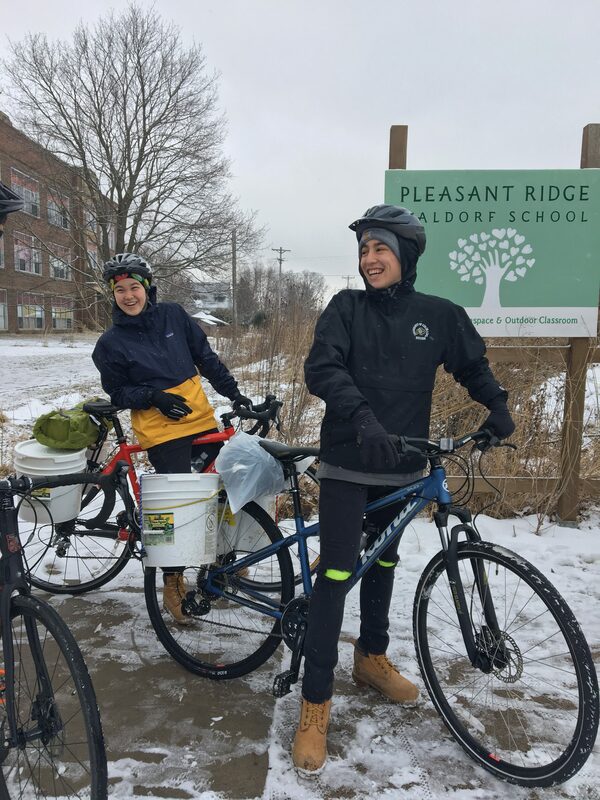 Before they head off into the world, Seniors bike around the region, exploring local land ethics and methods of living, while synthesizing a set of land ethics for their own life journey. The Driftless Region is an ancient landscape which escaped the grinding unification the last glacial period brought to much of the now flattened Midwest. Full of steep valleys, broad ridge tops, small contour farms and large-scale commodity farms, pristine trout streams, diverse woodlands, unique and rare flora and fauna, an extensive Karst topography and complex watershed system providing 1/6 of the water to the Upper Mississippi River Basin, the Driftless Region calls out to us to be thoughtful inhabitants and stewards of its health. Education must enable young people to effect what they have recognized to be right, despite hardships, despite dangers, despite inner skepticism, despite boredom, and despite mockery from the world.